Dear Daliah: What is the best way to set up a 21st century office? Dear Readers: When clients walk into my office they often exclaim that the space feels cozy, or “not like a law firm.” Bright orange filing cabinets sit under shelves displaying an eclectic mix of art, items sold by clients, and a bulletin board displaying handwritten thank you notes and postcards. Saper Law attorneys and law clerks are working from wherever they deem comfortable. Two at one desk, another with his feet up on the couch in the main area, another alone in an independent office that keeps sound out but still allows him to see what is going on in the main area through large glass windows. My decision to create an open office was purposeful and an important component of setting the tone for the firm culture I wanted to develop. If everyone on my team is within earshot, it is easier to communicate and collaborate. If the phone rings, I can wave over the individual I want to sit in on the call. If I need a file or an update on a matter, I simply turn my head and ask. No one sits in an isolated room monotonously staring at documents and screens for long hours—unless they choose to or need to meet a specific deadline. Some may argue that my small firm setup is impractical or impossible for bigger firms. However, even well-established megafirms are starting to shift to an open office concept. For this article, I reached out to R. Shane McNamara, attorney and founder/owner of MCX Interior, an interior design and construction company with offices around the Asia Pacific region. McNamara helps international law firms navigate not only the regional differences they need to consider when designing their offices around the world, but also the changing norms of law firm offices generally. He said that some of the U.K. and other European law firms his firm has helped design have opted for completely open plan offices—even doing away with partner offices. One very large, U.S.-based firm recently engaged MCX to customize a design for one of their offices to include workstations of different types including traditional desks, stand-up desks, sofa seating, private booths and even bar counters with city views. The firm also asked MCX to include activity-based working concepts, such as “hoteling” for paralegals and associates. With hoteling, workspaces can be reserved in advance, but aren’t dedicated to a single person or team. Attorneys there were given lockers instead of dedicated offices. If you have the opportunity to make some changes at your office, think about implementing a more open layout. You would be surprised at how trading a little bit of privacy can result in increased productivity and better staff morale. Daliah Saper, founder of Saper Law Offices, is answering reader questions about building a 21st-century law firm. She can be reached at AskDaliah@ABAJournal.com. 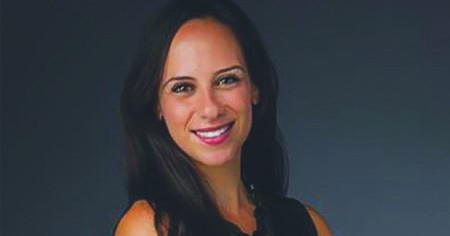 Daliah Saper opened Saper Law Offices, an intellectual property, digital media, entertainment and business law firm based in Chicago, in 2005. Saper is regularly interviewed on national TV, radio and in several publications, including Fox News, CNN, CNBC, ABC News, 20/20, the New York Times and the Chicago Tribune. She is an adjunct professor of entertainment law at Loyola University Chicago School of Law.